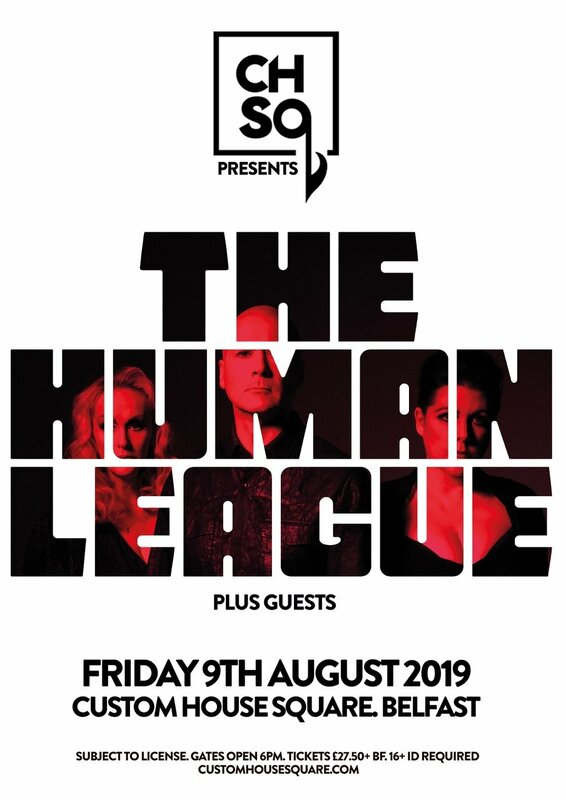 The Human League return to Belfast with a headline show at Belfast’s CHSq on Friday, August 09th 2019. Formed in the late 1970s by Sheffield-based computer programmers Ian Craig Marsh and Martyn Ware, Human League evolved into one of the seminal 80s electro-pop bands, recording some of the most influential songs of the decade. Tickets, priced £27.50 + Booking Fee, go on-sale Friday, December 07th at 9 am from Ticketmaster Outlets nationwide. The Human League are so credible it’s incredible. In fact, they’re probably more highly regarded now than they were in 1981 when they released their landmark album Dare! They’re used to everyone from Madonna to Moby, Pet Shop Boys to Robbie Williams, citing them as an influence. Now the dubstep generation – notably, the acclaimed Darkstar, who cover the League’s 1982 B-side ‘You Remind Me Of Gold’ on their current album, North – have begun to pay homage to the original sound of Sheffield. But they’re about more than esoteric infiltration – there has been mainstream penetration, too, commensurate with a band who gave us the greatest ever Christmas Number 1 single with 1981/2’s ‘Don’t You Want Me’, who have had four Top 10 albums and eight Top 10 singles in the UK as well as two US Number 1 singles and sold 20 million records worldwide. Then there are the ‘L’ girls, the new generation of synth-driven female pop artists, who have got in on the League-adoring act: La Roux is a known admirer of the electro pioneers, while Little Boots is such a fan she requested Philip Oakeys input on her debut album. Even Lady Gaga professed to be a devotee when she met them; they had adjacent dressing rooms at the ‘V’ Festival. But not surprisingly for a group who were famously described by David Bowie in 1979 as “the sound of the future”, and indeed the group was once called The Future. In March 2011, they released Credo, their 9th studio album, as brilliant a distillation of their ideas about pop and dancing, glamour and electronics, as anything they have ever done. They called it Credo, meaning “belief”, for The Human League fans who never stopped believing in the band in the decade since their previous album, 2001’s critically acclaimed Secrets.